Information security Software is a very flexible, easy to install and use. InfoSec developed to conceal data files into user-selected images to prevent the disclosure of these private data files to non-authorized users. 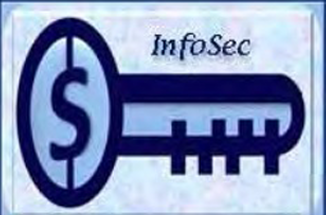 InfoSec utilizes the two main concepts of cryptography, Encryption and Steganography. In particular, instead of directly storing the user private data in standard file format. InfoSec hides an encrypted copy of the private data file into a user pre-chosen cover image, called stego image, the stego image then stored with the same original file name. InfoSec is very secure, easy to install and use, it also interactive with many helping tips and warnings for critical actions. All users can use InfoSec by following activation and registration procedure before using. The activation procedure will be done only once when activating InfoSec for the first time on the computer. To run InfoSec, the user should enter a valid and registered username and password, which usually chosen by the user during the activation procedure. With InfoSec, the user can be sure that no one else can read the private data file such as text file, audio file, video files or any other type of files, except those whom authorized by the user and they also should have an active copy of InfoSec. The original data file will be totally deleted from the computer.